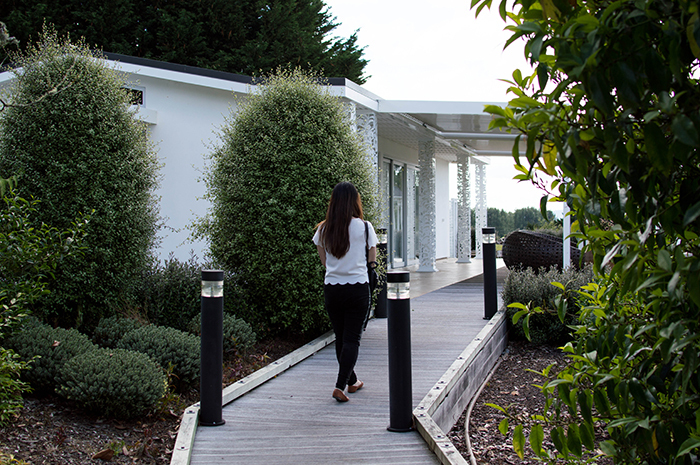 I took some time off last week to relax and what better way to do so than to get away from the busy streets of Auckland? We went on a small road trip with good food and an afternoon of relaxation on our minds. Where did we end up? The Zealong Tea Estate in Hamilton. Even though this was my second time visiting, I was still excited for the Zealong experience. This time I chose to drink the Pure oolong tea. 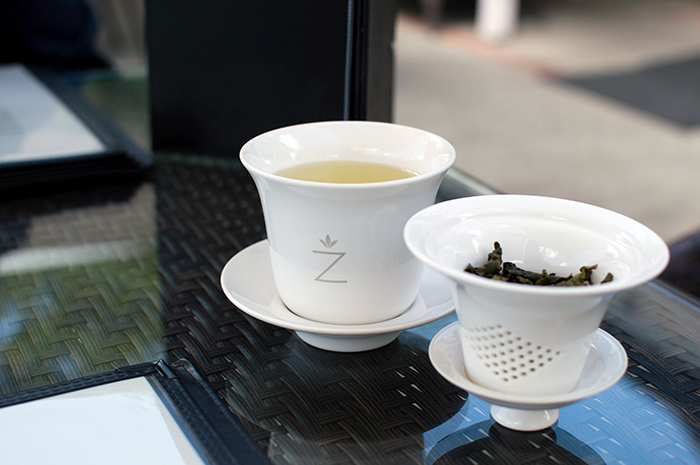 The tea leaves are unroasted, bringing out the pure and natural taste of the tea. For $9, the Pure tea is able to be re-infused up to eight times per serving. It is slightly pricey, but you are paying for quality New Zealand grown tea. 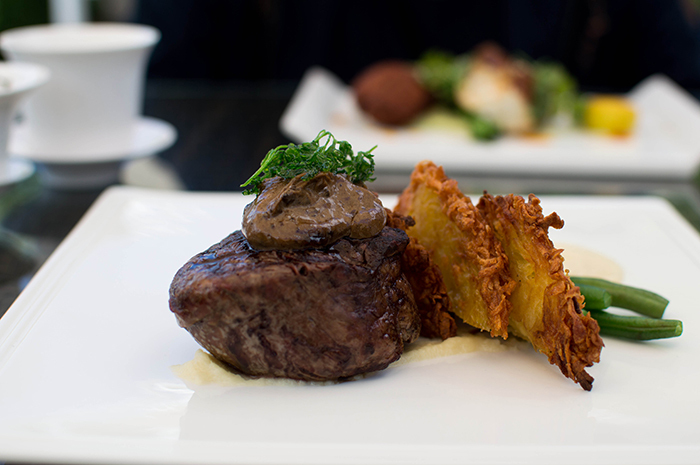 For our mains, Viren chose the Waikato eye fillet, pan seared and served with potato rosti, kohlrabi puree and black garlic mayonnaise ($38). Cooked to perfection (or medium rare as we like to call it), the steak was mouth-watering. I wasn't a fan of the sauce, but Viren had no complaints at all and polished off his meal. 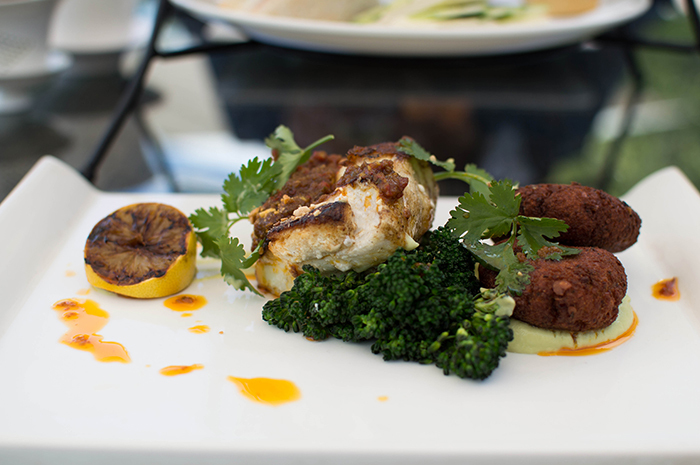 I decided to go with the market fish, freshly caught and served with avocado puree, crisp red lentil bhajia and shrimp sambal with mild spices ($37). The fish was so soft, it fell apart in my mouth. Paired with the spiced shrimp sambal sauce, the fish was absolutely delicious. 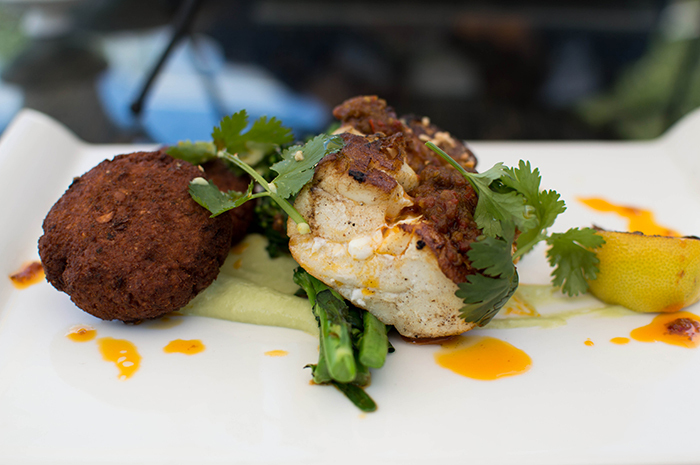 The avocado puree and broccolini were the perfect complements for this dish. The red lentil bhajia was just a little dry, but still tasted okay. This dish was definitely the highlight of my meal. 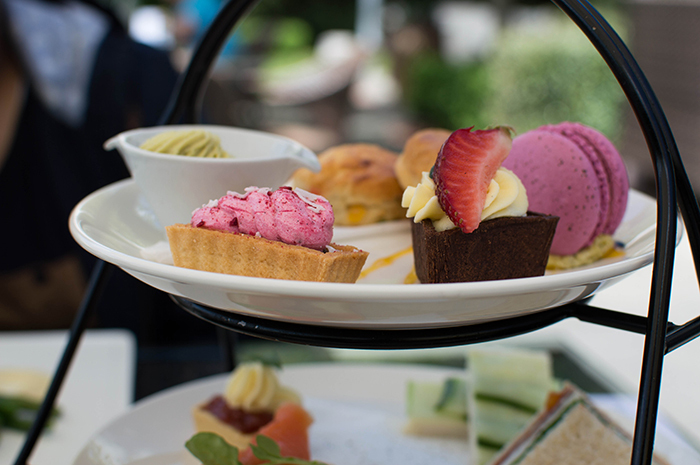 You can't go to Zealong without ordering a high tea! We ordered the Classic High Tea ($41). 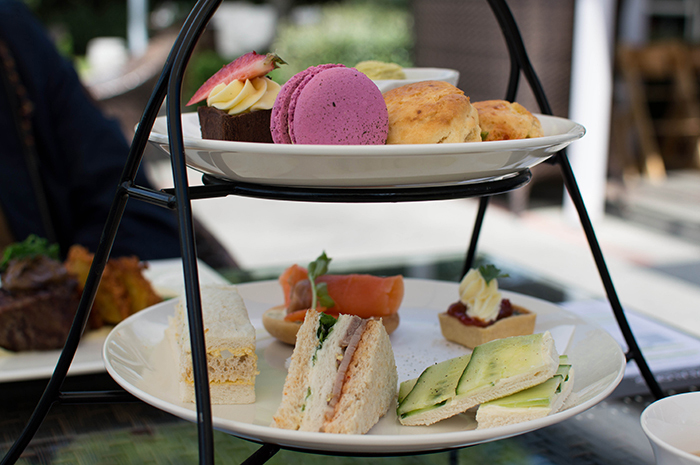 Our selection included gourmet sandwiches, a Dark Tea Salmon bagel, scones and a few other sweet treats. My favourites from the High Tea had to be the Macaron and the Black Tea and Raspberry Treat. The Macaron was crispy on the outside and deliciously chewy on the inside. The passionfruit filling just topped it off. The Black Tea and Raspberry Treat was made with ground almonds and Zealong Black tea and topped with raspberry buttercream and shredded coconut. It was absolutely divine. After your meal, you are free to wander around the restaurant where you can find stunning views of the tea estate. This is especially good if you aren't lucky enough to snag a table on the edge of the restaurant! If you are lucky enough, you get a beautiful view of the plantation while you enjoy your dining experience. Walk down the little walkway on the side of the restaurant and you will find a lovely open area and pavilion at the end of the track. 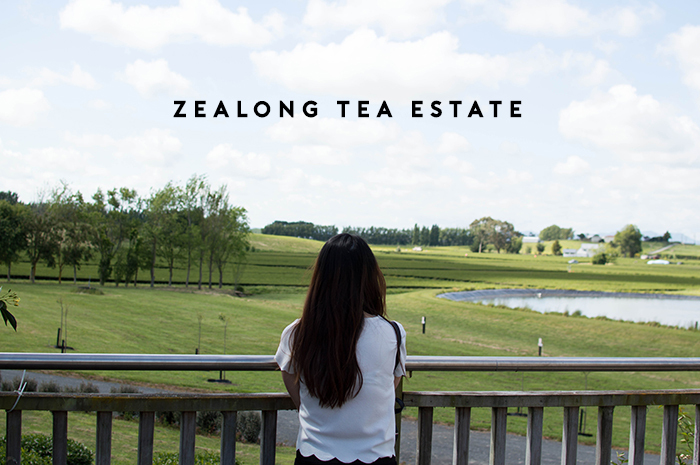 On top of the restaurant at the estate, Zealong also offer guided tours where you can learn about the Zealong story and discover how tea is made. Prices are slightly higher than other eateries, but if you're driving such a long way for food, be prepared to spend a little more. It's worth the experience. Dining at Zealong is always so peaceful and a perfect choice when you need to get away from the busy streets of Auckland. 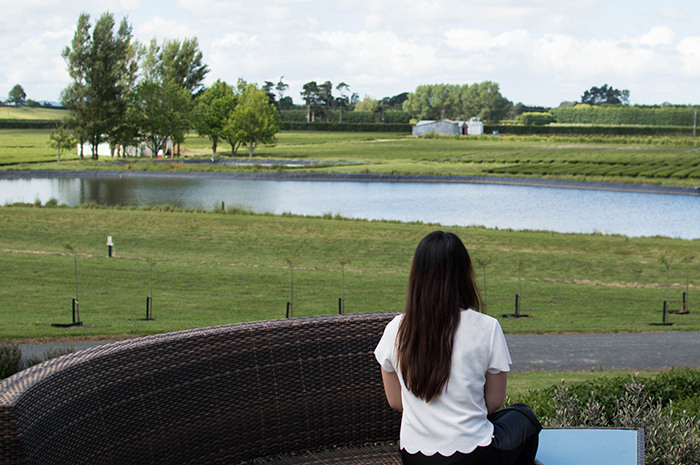 Have you been to Zealong Tea Estate before? What is your favourite dish from the photos above?